Does expertise in strategic behavior obtained in the field transfer to the abstract setting of the laboratory? Palacios-Huerta and Volij (2008) argue that the behavior of professional soccer players in mixed-strategy games conforms closely to minimax play while the behavior of students (who are presumably novices in strategic situations requiring unpredictability) does not. We reexamine their data, showing that the play of professionals is inconsistent with the minimax hypothesis in several respects: (i) professionals follow non-stationary mixtures, with action frequencies that are negatively correlated between the first and the second half of the experiment; (ii) professionals tend to switch between under and over playing an action relative to its equilibrium frequency, and (iii) the distribution of action frequencies across professionals is far from the distribution implied by minimax. In each respect the behavior of students conforms more closely to the Minimax Hypothesis. We study two-person extensive form games, or “matches,” in which the only possible outcomes (if the game terminates) are that one player or the other is declared the winner. The winner of the match is determined by the winning of points, in “point games.” We show that if a simple monotonicity condition is satisfied, then (a) it is a Nash equilibrium of the match for the players, at each point, to play a Nash equilibrium of the point game; (b) it is a minimax behavior strategy in the match for a player to play minimax in each point game (thus, playing minimax at each point assures a player that the probability he will win the match is at least as great as under equilibrium play, no matter how his opponent plays); and (c) when the point games all have unique Nash equilibria, the only Nash equilibrium of the binary Markov game consists of minimax play at each point. The minimax result provides a rationale for the players to play minimax (and therefore Nash equilibrium) in every point game, even if the behavioral assumptions typically used to justify Nash equilibrium are not satisfied. An application to tennis is provided. We use data from classic professional tennis matches to provide an empirical test of the theory of mixed strategy equilibrium. We find that the serve-and-return play of John McEnroe, Bjorn Borg, Boris Becker, Pete Sampras and others is consistent with equilibrium play. The same statistical tests soundly reject the assumption of equilibrium play in experimental data, including the data from Barry O’Neill’s celebrated experiment. We analyze the equilibria of two-person supergames consisting of the sequential play of a finite collection of stage games, where each stage game is strictly competitive and has two outcomes for each player. We show that in any Nash equilibrium of the supergame, play at each stage is a Nash equilibrium of the stage game provided players’ preferences over certain outcomes in the supergame satisfy a weak monotonicity condition. Thus, equilibrium play in such supergames is invariant for a large class of preferences and, in particular, it does not depend on the players’ attitudes toward risk. This enables us to conclude, for example, that O’Neill’s (1985) experimental test of Nash equilibrium adequately controls for risk attitudes, despite the fact that the supergame obtained by repeating his two-outcome stage game has more than two outcomes. We also establish an invariance result for games with more than two players when the solution concept is subgame perfection. This paper reports the results of an experiment designed to test the usefulness of alternative solution concepts to explain players’ behavior in noncooperative games with preplay communication. In the experiment subjects communicate by plain conversation prior to playing a simple game. In this setting, we find that the presumption of individualistic and independent behavior underlying the concept of Nash equilibrium is inappropriate. Instead, we observe behavior to be coordinated and correlated. Statistical tests reject Nash equilibrium as an explanation of observed play. The coalition proof correlated equilibrium of the game, however, explains the data when the possibility of errors by players is introduced. We characterize the agreements that the players of a noncooperative game may reach when they can communicate prior to play, but they cannot reach binding agreements: A coalition-proof equilibrium is a correlated strategy from which no coalition has an improving and self-enforcing deviation. We show that any correlated strategy whose support is contained in the set of actions that survive the iterated elimination of strictly dominated strategies and weakly Pareto dominates every other correlated strategy whose support is contained in that set, is a coalition-proof equilibrium. Consequently, the unique equilibrium of a dominance solvable game is coalition-proof. In markets with adverse selection, only low-quality units trade in the competitive equilibrium when the average quality of the good held by sellers is low. We show that under decentralized trade, however, both high and low-quality units trade, although with delay. Moreover, when frictions are small the surplus realized is greater than the (static) competitive surplus. Thus, decentralized trade mitigates the lemons problem. Remarkably, payoffs are competitive as frictions vanish, even though both high and low-quality units continue to trade and there is trade at several prices. We characterize trading patterns and their dynamics in a market in which trade is bilateral, finding a trading partner is costly, prices are determined by bargaining, and preferences are private information. We also determine how the trading pattern depends on the market composition. Our analysis reveals that market equilibria may be inefficient and may exhibit delay. As the market becomes frictionless the welfare loss due to inefficiency vanishes; delay persists, however, and in this respect frictionless markets are not competitive. There are two versions of this paper. In the abridged version (47 pages) the proofs of the lemmata, some material on symmetry of equilibrium, and the proof of existence of equilibrium have been removed. The abridged version has been accepted at the Journal of Economic Theory. The unabridged version (78 pages) is a revised version of University of Arizona Working Paper 99-05. This material is based upon work supported by the National Science Foundation under Grant No. 9810481. Any opinions, findings and conclusions or recomendations expressed in this material are those of the author(s) and do not necessarily reflect the views of the National Science Foundation (NSF). We analyze trading in a model in which the agents and their preferences are the same as in the main models of matching and bargaining, but in which trade is centralized rather than decentralized. We characterize equilibrium when trade is centralized and, by comparing our results with results from the matching literature, we show conditions under which decentralized trading processes reproduce the allocations of our centralized one. We establish that the competitive price as defined in the matching literature (i.e., relative to the stocks, flows, or totals) coincides, in the appropriate setting, with the equilibrium price in our model. We show that the equilibrium of a matching and bargaining model of a market in which there is a finite number of agents at each date need not be near the equilibrium of a market with a continuum of agents, although matching probabilities are the same in both markets. Holding the matching process fixed, as the finite market becomes large its equilibrium approaches the equilibrium of its continuum limit. We show that a profit maximizing monopolistic intermediary may behave approximately like a Walrasian auctioneer by setting bid and ask prices nearly equal to Walrasian equilibrium prices. In our model agents choose to trade either through the intermediary or privately. Buyers (sellers) trading through the intermediary potentially trade immediately at the ask (bid) price, but sacrifice the spread as gains. A buyer or seller who trades privately shares all the gains to trade with his trading partner, but risks costly delay in finding a partner. We show that as the cost of delay vanishes, the equilibrium bid and ask prices converge to the Walrasian equilibrium prices. This paper deals with a general version of a two-stage model of R&D and product market competition. Our main goal is to characterize the structure of optimal R&D cartels where firms competing in a product market jointly decide R&D expenditure, as well as internal spillover, levels. We establish the firms would essentially always prefer extremal spillovers. Within the context of a standard specification, we provide conditions for the optimality of minimal spillover. As auxiliairy goal, a thorough generalization of previous results on the comparative performance of various R&D cooperation schemes is provided, dispensing with all objectionable assumptions. We consider a two-period duopoly characterized by a one-way spillover structure in process R&D and a very broad specification of product market competition. We show that a priori identical firms always engage in different levels of R&D, at equilibrium, thus giving rise to an innovator/imitator configuration and ending up with different sizes. We also provide a general analysis of the social benefits of, and firms’ incentive for, forming research joint ventures. Another contribution is methodological, illustrating how submodularity (R&D decisions are strategic substitutes) can be exploited to provide a general analysis of a R&D game. With one-way spillovers, the standard symmetric two-period R&D model leads to an asymmetric equilibrium only, with endogenous innovator and imitator roles. We show how R&D decisions and measures of firm heterogeneity — market shares, R&D shares, and profits — depend on spillovers and on R&D costs. While a joint lab always improves on consumer welfare, it yields higher profits, cost reductions and social welfare only under extra assumptions, beyond those required with multi-directional spillovers. Finally, the novel issue of optimal R&D cartels is addressed. We show an optimal R&D cartel may seek to minimize R&D spillovers between its members. We consider a model in which firms first choose process R&D expenditures and then compete in an output market. We show the symmetric equilibrium under R&D competition is sometimes unstable, in which case two asymmetric equilibria must also exist. For the latter, we find, in contrast to the literature that total profits are sometimes higher with R&D competition than with RJV cartelization (due to the cost asymmetry of the resulting duopoly in the noncooperative case). Furthermore, these equilibria provide another instance of R&D-induced firm heterogeneity. When second-price auctions have been conducted in the laboratory, most of the observed bids have been “overbids” (bids that exceed the bidder’s value) and there are very few underbids. Few if any of the subjects in those experiments had any prior experience bidding in auctions. We report on sealed-bid second-price auctions that we conducted on the Internet using subjects with substantial prior experience: they were highly experienced participants in eBay auctions. Unlike the novice bidders in previous (laboratory) experiments, the experienced bidders exhibited no greater tendency to overbid than to underbid. However, even subjects with substantial prior experience tend not to bid their values, suggesting that the non-optimal bidding of novice subjects is robust to substantial experience in non-experimental auctions. A key determinant of bidding behavior was whether a subject had ever been a seller on eBay. We model auctions in which bidders and the seller have observable and heterogenous reputations for defaulting on an auction contract. 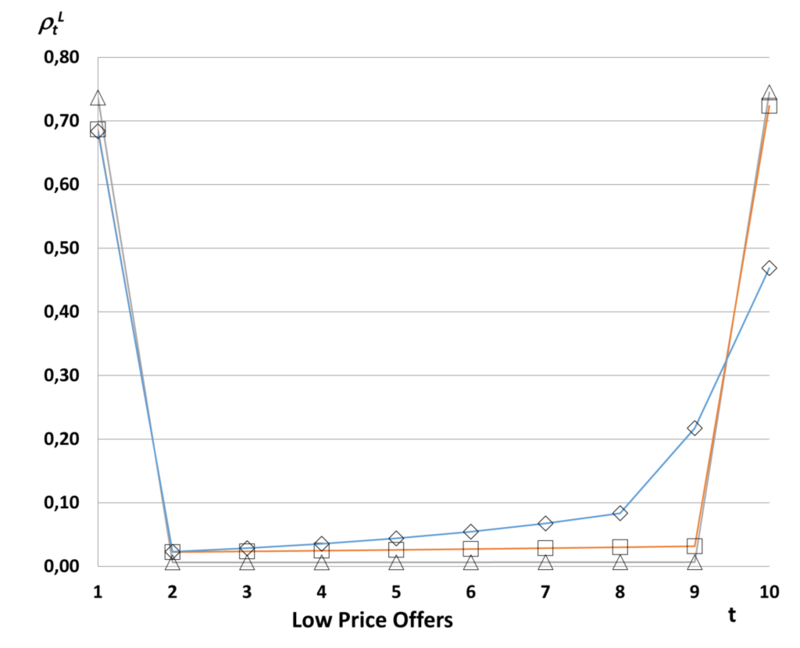 Employing a simple procedure suggested by our theoretical results, we examine the effect of reputation on price in a data set drawn from the online auction site eBay. Our main empirical result is that seller, but not bidder, reputation has an economically and statistically significant effect on price. Sales of multiple real-estate properties are often conducted via a sequence of ascending auctions, giving the winner at each stage the right to choose one of the available lots. We show that when bidders are risk averse, such “bidders’ choice” auctions raise more revenues than standard simultaneous or sequential ascending auctions. We also report the results of laboratory experiments to investigate the effectiveness of bidders’ choice auctions vis-a-vis the simultaneous ascending auction. The revenue-superiority of the bidders’ choice auction is corroborated by the experimental data. Finally, we compare observed bidding behavior in the experiments with theoretically predicted bids to estimate a common risk aversion parameter from the data. This material has been published in Games and Economic Behavior 34 (2001), 342-363, the only definitive repository of the content that has been certified and accepted after peer review. Copyright and all rights therein are retained by Academic Press. This material may not be copied or reposted without explicit permission. This material has been published in Games and Economic Behavior 17 (1996), 80-112, the only definitive repository of the content that has been certified and accepted after peer review. Copyright and all rights therein are retained by Academic Press. This material may not be copied or reposted without explicit permission. This material has been published in Journal of Economic Theory 104 (2002), 304-339, the only definitive repository of the content that has been certified and accepted after peer review. Copyright and all rights therein are retained by Academic Press. This material may not be copied or reposted without explicit permission. Here we provide two histograms showing (i) the number of minutes between when the winning bid was placed and when the auction ended (click here), and (ii) the number of minutes between when the final bid was placed and when the auction ended (click here). For the auctions in our data set the median time between when the winning bid was placed and when the auction ends is 284 minutes. Hence a bidder who did not win — and in particular the bidder with the second highest bid — generally had time to revise his bid before the auction ended. 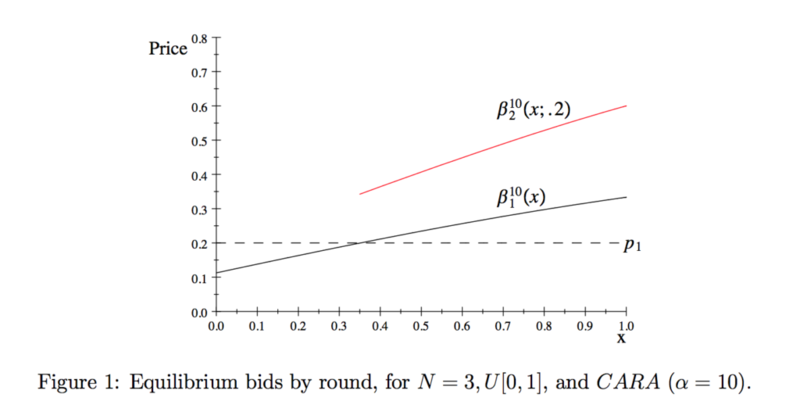 Allocating Positions Fairly: An Auction and its Relationship to the Shapley Value (with Matt Van Essen), (2018). Dual Auctions for Assigning Winners and Compensating Losers (with Matt Van Essen), (2017). Dissolving a Partnership Securely (with Matt Van Essen), SSRN Working Paper 2942611 (2017). Nash at Wimbledon: Evidence from Half a Million Serves (with Romain Gauriot and Lionel Page), SSRN Working paper 2850919, (2016). Reserve Prices in Auctions with Entry when the Seller is Risk Averse (with Diego Moreno), Economic Letters 154 (2017), pp. 6–9. University Carlos III de Madrid Working Paper 16-19. Dissolving A Partnership Dynamically (with Matt Van Essen), Journal of Economic Theory 166 (2016), pp. 212–241. Dynamic Markets for Lemons: Performance, Liquidity, and Policy Intervention (with Diego Moreno), Theoretical Economics 11 (2016), pp. 601-639. Blind Stealing: Experience and Expertise in a Mixed-Strategy Poker Experiment (with Matt Van Essen), Games and Economic Behavior 91 (2015), pp. 186-206. My entry on Mixed Strategy Equilibrium (with Mark Walker) for the New Palgrave Dictionary is here. Interacting Information Cascades: On the Movement of Conventions Between Groups (with James Fisher), Economic Theory, 63 (2017), pp. 211-231. University of Technology Sydney Working paper 2015-27, first version. Does Experience Teach? Professionals and Minimax Play in the Lab, Econometrica, 78 (2010), pp. 1143–1154. Equilibrium Play in Matches: Binary Markov Games (with Mark Walker and Rabah Amir), Games and Economic Behavior, 71 (2011), pp. 487-502. Mixed Strategy Equilibrium (with Mark Walker) The New Palgrave Dictionary of Economics, Second Edition, Eds. Steven N. Durlauf and Lawrence E. Blume, Palgrave Macmillan (2008). Minimax Play at Wimbledon, (with Mark Walker) American Economic Review 91 (2001), 1521-1538. Mentions: Price Theory and Applications, by Hirshleiffer, Glazer, and Hirschleiffer. An Introduction to Game Theory (pp. 374-375), by Osborne. Games and Strategy (pp. 215-216), by Dixit and Skeath. On The Irrelevance of Risk Attitudes in Repeated Two-Outcome Games (with Jason Shachat), Games and Economic Behavior 34 (2001), 342-363. An Experimental Study of Communication and Coordination in Noncooperative Games, (with Diego Moreno)Games and Economic Behavior 24 (1998), 47-76. Coalition-Proof Equilibrium, (with Diego Moreno) Games and Economic Behavior 17 (1996), 80-112. Decentralized Trade Mitigates the Lemons Problem (with Diego Moreno), International Economic Review 51(2010), pp. 383-399. The companion working paper of the paper (Universidad Carlos III Working Paper #2007-04). Prices, Delay, and the Dynamics of Trade, (with Diego Moreno), Journal of Economic Theory 104 (2002), 304-339.
for an unabridged version of the paper. Walrasian Equilibrium In Matching Models, Mathematical Social Sciences 35 (1998), 245-259. Matching and Bargaining Models of Markets: Approximating Small Markets by Large Markets, Economic Theory11 (1998), 215-224. Equilibrium in a Market with Intermediation is Walrasian, The Review of Economic Design 3 (1997), 75-89. Dissolving A Partnership Dynamically.pdf (with Matt Van Essen), Journal of Economic Theory 166 (2016), pp. 212–241. Behavior in Second-Price Auctions by Highly Experienced eBay Buyers and Sellers (with Rod Garratt and Mark Walker), Experimental Economics 15 (2012) pp. 44-57. An Experimental Study of Auctions with a Buy Price Under Private and Common Values (with Quazi Shahriar),Games and Economics Behavior, 72 (2011) pp. 558–573. Auctions with Heterogeneous Entry Costs (with Diego Moreno), RAND Journal of Economics 42 (Summer 2011) pp. 313–336. Efficiency in Second-Price Auctions: A New Look at Old Data (with Rod Garratt), Review of Industrial Organization37 (2010), pp. 43-50. [Invited]. 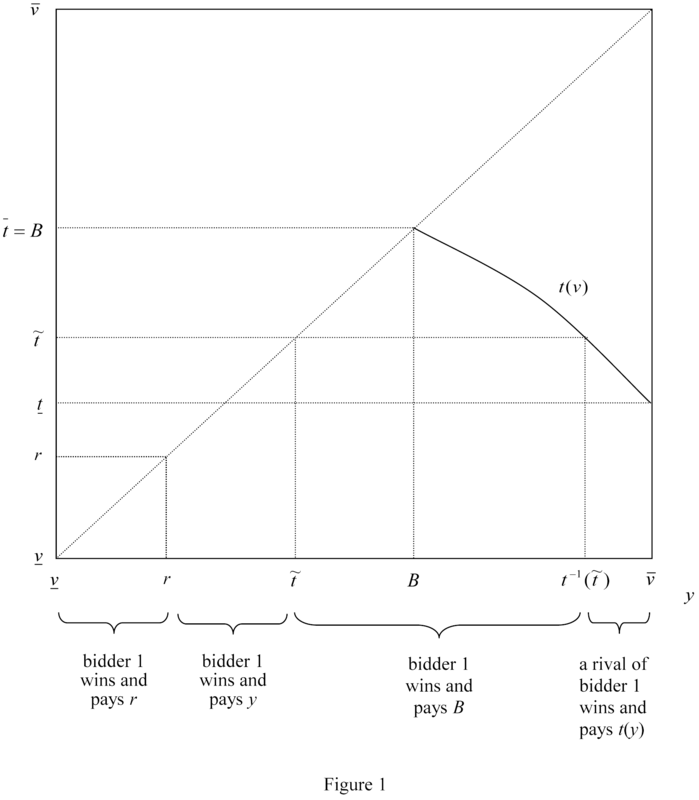 Auctions with a Buy Price (with Stan Reynolds), Economic Theory 38 (2009), 9-39 [Lead Article]. The working paper version of the paper (University of Arizona Working Paper #2003-01). An earlier version of the paper circulated and was presented at the Barcelona JOCS Theory Seminar in October 2002. Reputation in Auctions: Theory, and Evidence from eBay (with Dan Houser), Journal of Economics and Management Strategy 15 (2006), 353-369. Hard and Soft Closes: A Field Experiment on Auction Closing Rules (with Dan Houser), in Amnon Rapoport and Rami Zwick, Eds., Experimental Business Research, Vol. 2: Economic and Managerial Perspectives (2005). Bidders’ Choice Auctions: Raising Revenues Through the Right to Choose (with Jacob Goeree and Charles Plott),Journal of the European Economic Association 2 (2004), 504-515. Noncooperative versus cooperative R&D with endogenous spillover rates, (with Rabah Amir and Igor Evstigneev),Games and Economic Behavior 42 (2003), 183-207. One-Way Spillovers, Endogenous Innovator/Imitator Roles and Research Joint Ventures, (with Rabah Amir)Games and Economic Behavior 31 (2000), 1-25. Effects of One-Way Spillovers on Market Shares, Industry Price, Welfare, and R&D Cooperation, (with Rabah Amir)Journal of Economics and Management Strategy 8 (Summer 1999), 223-249. Cooperation vs. Competition in R&D: The Role of Stability of Equilibrium, (with Rabah Amir) The Journal of Economics 67 (1998), 63-73.